Our 110% Price Guarantee means that if you find the exact same chair advertised online for less by an authorized dealer, within 30 days of placing your order, we'll refund the difference plus 10% of the difference. Competitors advertised product price must be the exact same model number and from the same manufacturer and have all of the same features and use the same delivery method. This Price Policy applies to orders shipped within the US only. Please note we can not price match on auction items, floor models, or any item being sold for less that the authorized dealers cost for that item. 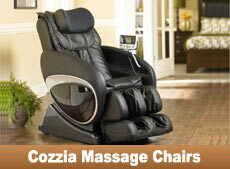 If you find a lower price, then please call us at 1-877-638-0556. 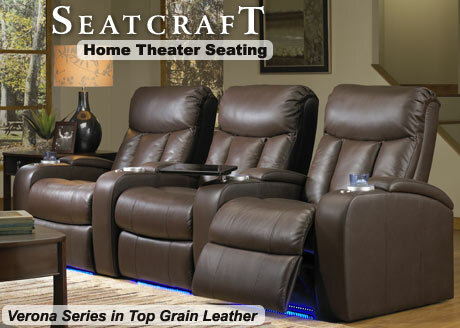 Welcome to Discount Leather Chairs, Inc.
Quick Ship Home Theater Seating from Seatcraft. 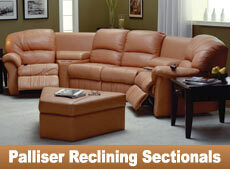 Southern Motion Reclining Sofa and Loveseat Groups are available in over Leather & Microfiber Colors. 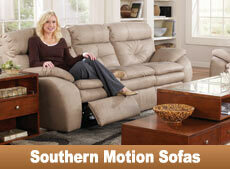 Southern Motion furniture is an elegant addition to your home and an excellent investment in quality, comfort, and style. 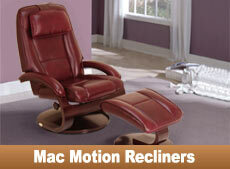 Southern Motion Reclining Sectional Groups are available in 12 Unique styles on over 60 Leather & Microfiber Colors. 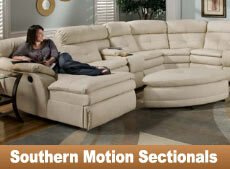 Southern Motion Sectional have wide variety pieces, options and configurations to fit your room and lifestyle. 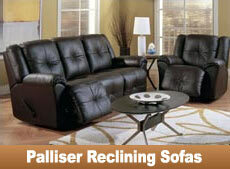 Palliser Sectionals are available in over 100 leather or Microfiber colors and a limitless number of configurations. 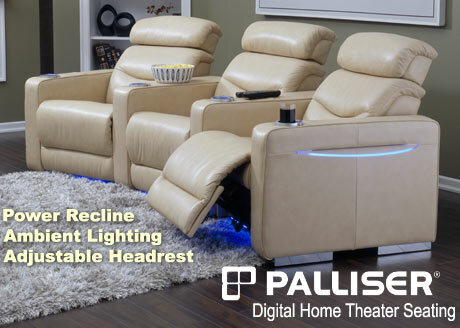 Available options include power recline, sofa bed, home theater consoles, and storage ottomans. The Oslo Series recliners are built onto Mac Motion's visually stunning 360 degree swivel wood base. Luxuriously designed seating surfaces are sculpted from high resiliency foam to make these chairs beautiful and comfortable. 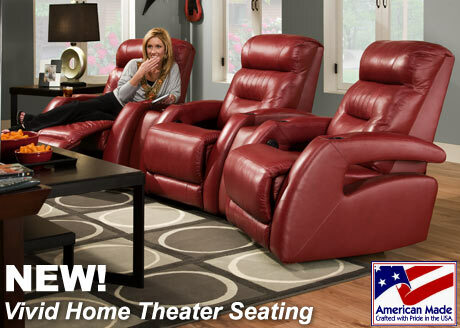 Choose from over 100 leather and microfiber colors and 10 Home Theater Seating styles that combine unparalleled comfort, sophisticated design, and all the features you need to help create the ultimate home theater environment. 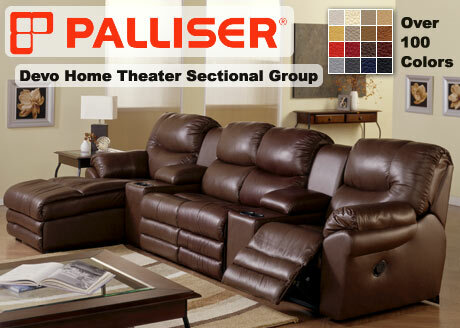 As the largest maker of leather furniture in North America, Palliser Furniture's Sofa and Sectional Groups provide you with a level of comfort you won't find in any other seating. Available in over 100 leather or Microfiber colors! Experience a whole new level of comfort, wellness and relaxation. Each Feel GoodT chair offers a variety of motions, functions, and therapies, plus a unique air-pressure system that's great for the backs, hips, and legs. The My Comfort Recliner is stylish and European-inspired with an ergonomic design to cradle your body and complement your décor. 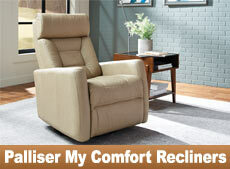 These Ergonomically designed Recliners/Gliders styling fit the body perfectly for maximum comfort. 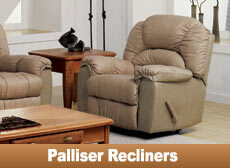 Palliser's Traditional Recliners provide a complete range of options so you can find just the right chair for your needs. 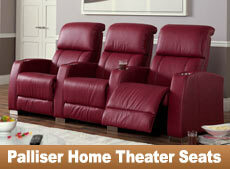 Choose from Wall Hugger Recliners, Power Wall Hugger Recliners, Rocker Recliners, Swivel, Power Lift, and more!